The KAIRA project is really fortunate in that there is some convenient accommodation nearby which can be used as a base for work on the site. 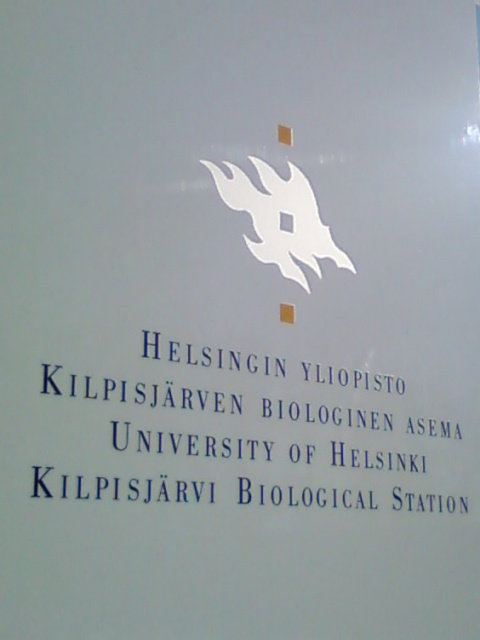 This accommodation is part of the Biological Research Station, which is operated by the University of Helsinki. 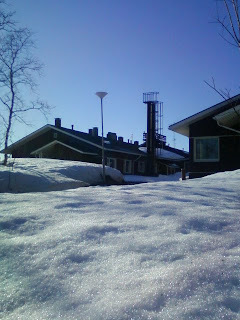 The station was first established in 1964 and has ever since been used to promote and support Arctic biological research. 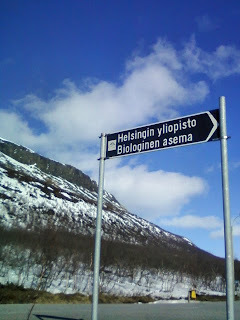 The signpost from the main road. Yes, that's part of Saana in the background. 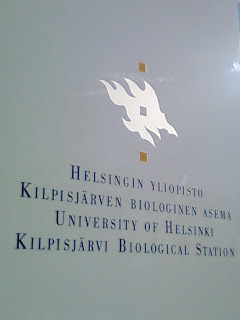 The station belongs to the Faculty of Biological and Environmental science of the University of Helsinki. 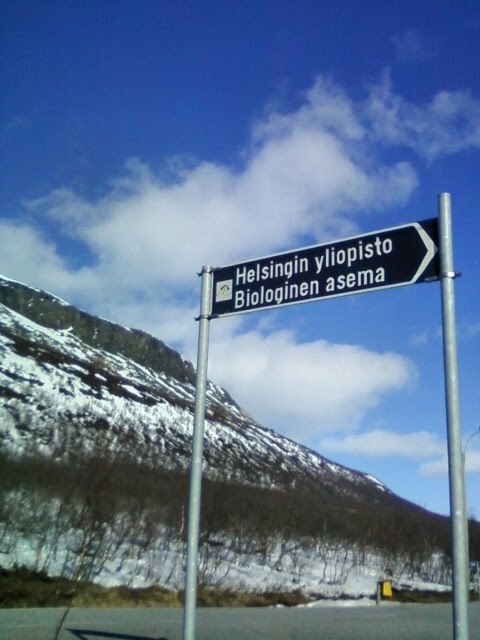 However, apart from being very convenient and a delightful and well-serviced place to stay, we actually owe a great deal to the Biological Research Station. The reason for this goes back to August of 2010 when we were still looking for a suitable location for placing the KAIRA project. 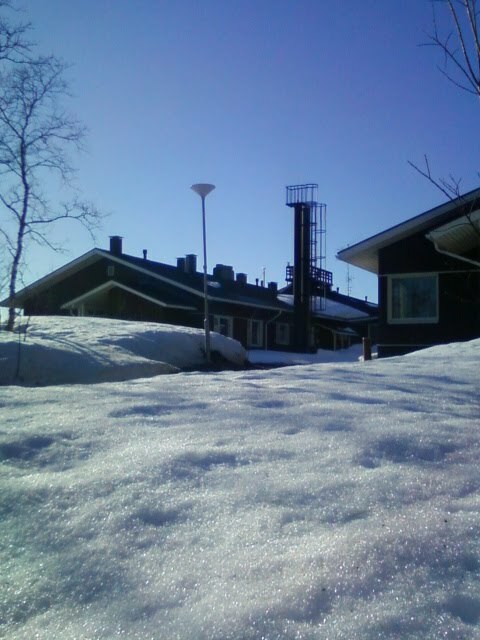 It was actually in a meeting with Prof. Antero Järvinen (the director of the Biological Research Station), where we explained about our need to find a suitable location for a LOFAR station. He was the one who then gave us a hint to look in the area near the customs station, which is exactly where the construction work is now taking place.